"Neither upset when criticised, nor pleased when praised"
"If you are the target of some harsh criticism or insulting talk, for example, the harder you try to avoid being exposed to it, the more of it you seem to hear. 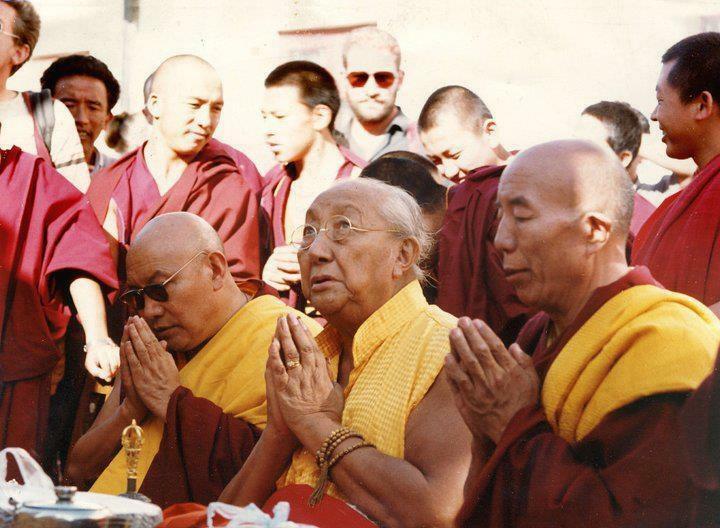 The best thing would be to be like the great sages of the past, who felt neither upset when criticised, nor pleased when praised, because they were able to perceive all sounds as empty echoes, and to hear all criticism and praise about themselves just as though people were speaking about a person who had died long ago"
Photo from left to right: Kyabje Trulshik Rinpoche, Kyabje Dilgo Khyentse Rinpoche and Kyabje Tenga Rinpoche. Karma Yoga Classes are Back!